Show your Gunners pride with the Arsenal FC 2016/17 Core Polo Shirt. At home, in the stands or on the street make a statement in the traditional red colourway associated with the club. The iconic club crest sits boldly on the chest with navy block colour-inserts to the back and shoulders. Showcase your red passion with this new design. 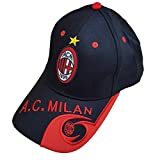 Baseball unisex Cap with football club AC Milan logo and bronze Keychain. 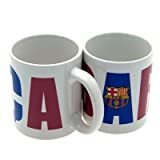 High quality! NEW COLLECTION 2016! Adjustable size. Classic baseball unisex polyester/cotton twill cap. Quick Details: – Sports Cap Type: Snapback Cap – Panel Style: 6-Panel Hat – Age Group: Adults – Gender: Unisex – Material: Polyester/Cotton – Fabric Feature: Common – Size: Adult Size – Color: Colors – Style: Dobby – Pattern: Applique – Model Number: Baseball Caps – Logo: Embroidery , Label – Usage: Sport – Hat Type: Baseball caps – Condition: New materies (odorless) with perfect emroidery.